Latest on the Leafs, Bruins, and Wild in your NHL rumor mill. CAN LEAFS AFFORD TO RE-SIGN GARDINER? SPORTSNET: Mike Johnston reports William Nylander’s new six-year, $41.77-million contract could affect the Toronto Maple Leafs’ efforts to re-sign Jake Gardiner. The 28-year-old defenseman is due to become an unrestricted free agent next July and is earning an annual average value of $4.05 million on his current deal. The Leafs must also re-sign star forwards Auston Matthews and Mitch Marner, who become restricted free agents next summer and will be due to receive significant raises. Johnston cites colleague Nick Kypreos could command between $6 million to $7 million per season on the open market next summer, though that might not be feasible for the Leafs, who have over $56 million invested in 12 players for 2019-20. Kypreos believes if Gardiner is willing to accept a slight increase over his current cap hit the Leafs would be more than willing to sign him to a long-term deal. Elliotte Friedman suggests using signing bonuses as a way of getting Gardiner to accept less than what he’d get via free agency. SPECTOR’S NOTE: It could cost around $22 million for the Leafs to get Matthews and Marner under contract, pushing the Leafs’ cap hit to around $78 million committed to 14 players. Even if Gardiner agrees to a slight pay bump, the Leafs won’t have much room to re-sign him and still have enough room to fill out the rest of their roster. They’ll have to shed some salary to free up sufficient cap space or watch Gardiner depart via free agency. NBC SPORTS BOSTON: In a recent mailbag segment, Joe Haggerty addressed trade suggestions and questions from his readers. Asked about the possibility of adding a power forward, Haggerty suggested Philadelphia Flyers winger Wayne Simmonds could be a good short-term option if he’s available by the trade deadline. SPECTOR’S NOTE: if the Flyers don’t gain ground soon in the Eastern Conference standings, their new general manager (whoever that might be) could try to trade him before the Feb. 25, 2019 deadline. Despite Simmonds’ struggles this season, he could still attract plenty of interest from playoff contenders (like the Bruins) in need of a two-way physical presence on their forward lines. To add some secondary scoring, Haggerty suggests dealing from some of their surplus young wingers. He in favor of moving Anders Bjork as he’s not sure Bjork fits into the Bruins’ big picture. They might also have to part with Ryan Donato or Danton Heinen. SPECTOR’S NOTE: Those three have frequently surfaced in the trade-rumor mill of late. One of them could be playing elsewhere by the trade deadline. Regarding the possibility of trading defenseman Torey Krug, Haggerty feels there’s more upside to keeping Krug than in trading him. The only reason to move him would be if there’s significant value for him in the trade market. Haggerty also shoots down the idea of dealing for St. Louis Blues winger Vladimir Taransenko, citing the high cost to land him. SPECTOR’S NOTE: The Bruins aren’t landing Tarasenko and I don’t see the Blues making such an extreme move this season. If they decide to shop Taranseko, it’ll happen in the offseason, perhaps during the 2019 NHL Draft. As for Krug, he was frequently mentioned in last summer’s trade chatter but that talk has since died away. Seems the Bruins value his puck-moving abilities and offensive contributions. THE ATHLETIC: During a recent mailbag segment, Michael Russo was asked about recent speculation claiming the Boston Bruins could be interested in Minnesota Wild forward Charlie Coyle. He believes Coyle might benefit from a fresh start and playing in his hometown. He mentioned Bruins forward Ryan Donato as an intriguing possibility for the Wild. SPECTOR’S NOTE: Russo’s colleague Joe McDonald recently reported the Bruins could revisit their offseason interest in Coyle, suggesting it could take packaging one of their young forwards with a draft pick to acquire him. Since then, however, there’s been nothing really new about this speculation. Could be worth watching as Wild GM Paul Fenton continues to evaluate his roster. Asked if the Wild should pursue Edmonton Oilers winger Jesse Puljujarvi, Russo feels it depends on the asking price. He’d also like to see how Puljujarvi performs under new Oilers coach Ken Hitchcock. SPECTOR’S NOTE: It’s believed the Oilers remain reluctant to part with Puljujarvi as they fear he’ll blossom elsewhere. Baring a significant offer, they’re unlikely to move him this season. OK, so we’ve finally come to the end of the Nylander drama – at least for the rest of this season – so now it’s gonna be replaced by endless speculation on Gardiner? Haha Goerge O, you know it…but at least we know he isn’t getting dealt during the season.. I don’t share everyone’s fear on the leafs cap situation.. They cant afford Gardiner at 6 or 7- but at 5- its do able(even with Marner and Matthews at 12 and 9). Im just not sure they should, they are better off letting him go and having Dermott replace him. 2 years from now Sandin and Lilegren are both playing…If they can find a way to move Zaitsev now -that would be ideal, and then they could focus money on Gardiner, if they chose. is there a team out there that would take Zaitsev and Connor Brown with a pick- for an expiring D contract? oh gawd, I hope not ! By the by, anyone know what the cap implications are for the Leafs if Marleau retires at the end of the season ? I am sure being an O/35 player there are definitely some cap implications. Oh No! Talk about the Leafs. It’s a cruel burden. 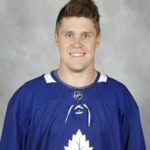 I dont think the Leafs can give Jake Gardiner ..Morgan Riellys money…2 years removed..just can happen….he will not be signed…Dermot or Sandin will replace him …..lots to say ..but not sure its worth it…. Who cares if a player blossoms somewhere else if he is dying on the vine on your team. St. Louis might end up last as the Kings are playing better. Not improving their record just yet but that will come. A new Calcutta on Nylander. How long before a grown injury ? Nah – was just joking Old Blue Dog … well, sorta – and those columnists have to fill their daily( weekly?) quota and if there’s nothing to write about they speculate. We get it here from “rumor du jour” Garrioch, Don (always Looking For Controversy) Brennan, and Wayne (Can’t Get Free Flights Anymore) Scanlan. Was out of town all yesterday. Just read the posts for yesterday and today re: WW and contract. Prudent points on all sides. Some heated banter, but all good. I’m in the very small minority that feels this was a serious capitulation by GMKD. I personally would have let him sit and get the best trade possible for him at TDL (less likely) or off-season (25 + teams with offers). At first glance it’s a crippling contract and 19/20 will be a much weaker Leaf team than 18/19 due to this signing (cap casualties). Closer look and perhaps GMKD has structured the deal with an out that works— I’m hoping the structure of the contract was truly with this “out” in mind— see below). Currently for 19/20 (with expected Cap at $84M); and setting aside the Horton contract— Leafs will have less than $34M left to sign 12 players ($2.8 per) including MM and AM. If there is a miraculous set of signings and pigs do fly and 4 separate agents have complete meltdowns and GMKD gets AM, MM, Gardner, and Kappy for $28M (read — complete fantasy)…. The team has to sign the balance of team …. 7 players (including 3 D and a back-up) EACH for league minimum. Now the deeper look at the WW contract…. As of July 1st he will already be paid $17M+ ($8.3M SB on 1/7/19). Balance of contract— 5 years left — cap each year of $7M but cash per year only Avg of $4.94M. That <$5M per contract should be very valuable to a team that has the space. … but can ONLY be done with either/both WW or PM traded OR they will not be able to sign all of AM, MM, Kappy, Gardner— so team will be losing at least one key player from this year’s roster. Did WW signing currently make team better— yep. Did it secure a cup in ’19— I’m still very skeptical (barring D upgrade) that they can plough through 3 Eastern teams and one Western team, this year, with this D as is. Anything can happen; and better chance than last week. However, I’m just much more on the hesitant/skeptical side to think they can do it this year. With a trade of WW and PM on/after July 2nd ; and securing a D upgrade and freeing up cap space for other moves; Leafs would then truly be in the hunt for multiple cups ’20 through ’26 IMO. So— If this logic/scenario was the intent of GMKD when he signed the MM contract; then I take back my consternation and bitterness of the perceived “capitulation” and idiocy of the contract (at first glance). Pengy: Marleau has a NMC, so he only gets traded with his blessing. If Kapanen is going to want anything around $5M/year as suggested on this site, I would trade him before Nylander. I also agree with a poster above that Connor Brown is a likely cap casualty as he is a fourth liner on this team and isn’t worth $2M/year to the Leafs. He should be easy to trade at that price and previous production. Zaitsev will be difficult to trade and the Leafs would definitely have to add a significant sweetener there to get that done. Horton’s contract will be next to impossible to trade given it is uninsured (i.e. no point in cap floor teams in getting that contract). Can’t remember who brought it up, but I can definitely see Matthews and/or Marner signing right after the season begins so Toronto can put Horton on LTIR first. Yep knew about NMC for PM…. was hoping (praying) that he would somehow be nice enough to allow to be traded …. even if back to SJ at %50 so that he can retire a Shark would free up $3.13M in Cap; cost $625K (both teams)— what is the additional to give to SJ to make that happen? No matter what — they should trade WW on/after 2/7/19— they have enough scoring without him. Trade saves Cap and allows a Top 4 D upgrade w/o any tax/deficit to scoring needed. There should be at least 15 teams willing to pay only $4.94M per for 5 years; with a Cap hit of $7M. Kappy even at $4M (if they keep WW and PM) will be a Cap casualty. I’d rather trade WW; somehow trade PM; and keep Kappy. That’s me though. No way they trade Marleau they have too much respect for him and would send a message to any aging vet they might want to add in future.Kapanen should stay with Kadri and Johnnson. If either continue to get second line minutes they will rack up the points and become unaffordable. I agree Brown should go as he now effectively becomes a 4th line player. His value is highest right now and Ennis can take that 4th line spot. Sadly, I think Leivo will get the boot. The only guy outside of Kadri with some grit. This just in John the hot dog guy in Scotiabank arena is looking for a raise, what’s Dubas gonna do?!? re: Leafs cap next year,11 players signed, the roster needs to be @ 23. They have 24 million to spend, AM & MM will likely cost ~19-20 leaving 4-5 to sign 10 players. Someone will be moved, best case is Zaitsev + sweeteners, else it will be Kadri. I can’t see how they fit Gardiner in. The Bruins are way too soft right now. Chara out for an extended period exacerbates that problem. Backes is a big guy, will drop the gloves but he doesn’t instill fear in anyone. Krejci has been rocked in back to back games and aside from some token bravery by Marchand, Cave etc, nobody has help the opponent accountable. I agree they need a third line center and a second line right shot RW but someone who can and will fight when need be would be a HUGE asset too. Maybe you get both with the addition of a RW for Krecji’s line but Charlie Coyle isn’t that guy. Don’t see him as available now, but Josh Anderson would be. Big body, plays a heavy game with a bit of bark to boot. Pretty good hands as well. How does the Bruins acquire both him and Calvert though? Hey Taz, this has been my handle here for quite sometime. Requesting here that you possibly choose something different? Appreciate it kind Sir! No worries, I defer to your tenure. A gentleman of the highest order! I hope Leafs lose in first round and some team offer sheets Matthews or Marner for league max. I also share this dream. I actually think Arizona will offer sheet Mathews. Matt hope all you want it will never happen. As for fitting players under the cap in the next few years, I don’t think it will be as bad as (us) experts are claiming. I mentioned weeks ago how they might possibly wait to the last minute so they can pay him $10m in year one and something around $6.5+ in the remaining years. I don’t know yet what their plan is for next year and honestly couldn’t care one bit because first, this is a great team and with Nylander it’s even better and secondly, one of the team’s AGMs helped write the current CBA so I think it’s safe to say if there’s a loop hole or a way to make someone fit under the cap it would be him that would know, don’t you think? You can belly ache all you want on how this guy or that guy is gonna get paid and maybe your right but I’ll trust a pro vs a talking head or people’s opinions which are based on bias. Lastly, I think we can all agree you spend on talent, put most of you cap going to you top players and have your support players on the cheap, ie pay your lower pairings and forwards on either ELC or under $3-4m if that…I’m thinking someone like Kappy or whoever is only going to get a small pay increase and short term, like Brown’s. 1 he would have to sign the offer sheet and I’m not sure but I think as much as playing in front of dozens home town fans in Arizona maybe tempting it may lose something in Texas or Oklahoma and where is all this money coming from with a struggling franchise? You think they up a bunch of bonus cash say 40 mill up front in the the first few years? Maybe but if your already losing money and this doesn’t help like right away could be a big pill to swallow or just lighting even more money on fire and do you honestly think he has a better shot at a championship in Toronto or in the suburbs of Arizona think star players want to play for a relocated franchise and gonna sign their life away to play in Texas or OKC when the only reason to possibly consider it would be to play at home in Arizona? I’m not so sure and I’m not so sure it would be the end of the world if he did so wouldn’t be getting worked up about offersheets. If Arizona doesn’t offer sheet Mathews at the league max, they don’t deserve to be in the NHL!!! That is one of the craziest things I’ve ever seen here, and that says a lot! From a struggling franchise? Ya, that sounds like a wise move. Good point, BruinsFan, they don’t. And neither do several other franchises. Let’s start a retraction campaign – I nominate Arizona, Florida and Carolina to start. The floor is open to further suggestions. A good point is throw an offer sheet at Mathews or you don’t deserve a franchise? Just so we’re clear? Lmfao! The plot thickens ! I have to hear this…. This conversation almost makes the “Doughty for our 4th line scrub, a 2nd and a career Ahl’er, la holds 50%” seem like a more tolerant post. Where are we relocating Florida, Arizona, and Carolina again? But where are we sending these 3 teams, today? I can all but guarantee that if Leafs do not have AM signature on a contract by 1/7/19— there will be an offer sheet. Offer sheets are very very rare— this will make the exception. You can count on Arz already willing to pay big. They are suffering huge at box office (and as TSN hinted)– there are some rumblings re: Arz to Houston. AM as a Coyote will increase sales revs greater than the premium they would pay in an offer sheet. They are loaded in young depth… 4 first rounders worth it. What AMs agent and GMKD can work on pre July is still TBD. When it all boils down to it; this is a business and AMs agent must think in those terms. It would not be a stretch for him to tell AM to wait it out past Jul 1— just to see what the offer sheet is. (1) he can wave that offer in Leafs face and push for a match (if it is $14M as some media (SN/TSN) has pondered) — how can Leafs match that? If Arz offered $100M over 7 years to play in his home town— this has to give him pause to consider it. Putting supposition aside— GMKD , IMO, must hammer this out prior to Jul 1st. The AM contract signing is a must pre July, and almost a must for MM (offer-sheet is a possibility, but IMO, the possibility is less than what I believe to be a “DEFINITE” for AM). I can’t realistically fathom anyway AM/MM total comes in at less than $21M— if so, their agents collectively have been had. Even with that miracle; barring trade— leaves <$13M to sign 10 players and at that point (again barring a trade); Leafs only have on D: Reilly, Zaitz, Holl signed. Who’s making out the checks for the rest of the 100 mill in year 5-8 of the deal and should he start house shopping on 2 cities cause the Yotes ate not in Arizona goruch longer now that Gary and the owners see franchise fees going for. Contraction, NY4Life, contraction – the league needs fewer teams, not more. Don’t move them, delete them. Fewer teams, higher quality. Offer sheets are rare, very rare. But players like Mathews don’t come around that often. I’d O/S him in a heartbeat. Even more rare is an offer sheet working. 8 offer sheets in the cap era, successfully once. Well “successfully “ may be a strong word. It was Dustin Penner. Let’s say it “worked” once. Stamkos may be the best player in the cap era that could have seen an offer sheet, but didn’t . I don’t see anyone throwing an offer at Mathews. And if they did, Toronto would more than likely match. I have to wonder about people that come here just to show their disdain for other teams? Well thanks for that well thought out contribution! It will happen! They would match and have to rotate 15 players between forward and defence. Be just like the good old pee wee days! Can they afford Gardner??? More like can they afford Matthews or Marner. I understand it’s dlow this time of year in the trade rumours but who cares about Gardner or the Maple Losers. When they choke again in round 1, and traded all their draft picks and prospects for rentals will be back to the Shannaplan. Good input right there feel better twin? I thought we had finally gotten rid of the juveniles who trot out crap like “the Maple Losers” “Laffs” and “Senaturds” which are more properly suited for the school playgrounds. Take it somewhere else if you can’t discuss things without that buls”^t. Levio has a chance to play on a regular basis. Now let’s see if he can score more points then than that slug in Edmonton “Lucic”? I will place my money on levio. I wonder if they have a signed ping pong ball section in their hall of fame? These discussions are always dominated by Leaf fans … and it gets really really really really old. We should make a leafs only blog we’re all these Oilers haters can talk about how great their 50 year drout is. It could be a make believe fantasy land, but still in moms basement where the leafs are the only team in the NHL and haute tees a Stanley cup parade without having to win on the Xbox. All hail leafs fans and pink fluffy buddies! Because there’s a lot more of them. Hell, here in Ottawa half the bloody arena is occupied by Leafs fans when they come to town – and Montreal fans when the Habs are in town. Old loyalties die hard. It shows leaf fans are everywhere and are passionate for their leafs. Sprong to Ducks for Pettersson. I watched the Ducks score 5 unanswered yesterday to come back and beat the Caps in Washington. Could be the turning point in the season for Anaheim. Or maybe a turning point in the other direction for the Capitals? George, Caps had won 7 in a row prior to yesterday, Holtby struggled in nets, they will be ok. Ducks on the other hand have underachieved and battled injuries for most of the year. Coming back from being down 5-1 against the cup champs in their barn is a huge win. Looks like the Oilers gave up on Aberg a bit prematurely. Pengy is going to have a heart attack now that Sprong has been traded. Don’t know much about Pettersson, but his numbers indicate he is more of a defensive defenseman. Has anyone seen Pettersson play and, if so, what is his upside? Sprong could end up being a solid top 6 scoring forward if given a chance. Bruins have a bunch of injuries right now. Trading away the future for a quick fix is a bad idea. Play what we have and deal with it. Team will be stronger when Bergeron,Miller and Mcavoy return. Chara should retire after this season his 5 million cap could go toward a top 6 forward. Still playing over 21 minutes a night Dave. Will see how he recovers from this injury, but another year of seasoning with Z around can’t hurt the young guys. Perhaps a lower cap hit, but a very good defender playing 20 plus minutes should still get paid. we should increase draft choice to seven or eight that we could maybe land for minor trade player.